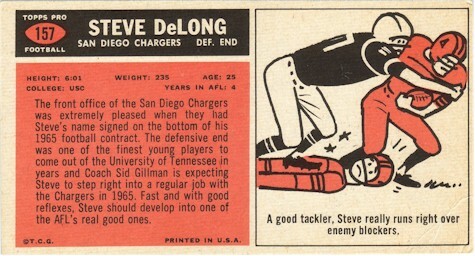 The American Football League excelled in many ways. 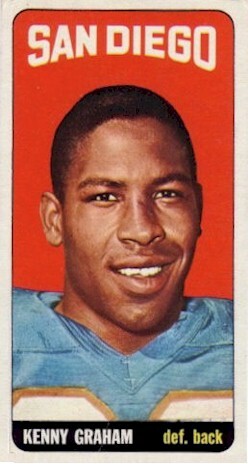 An American Football League All-Star in 1963 and 1964. 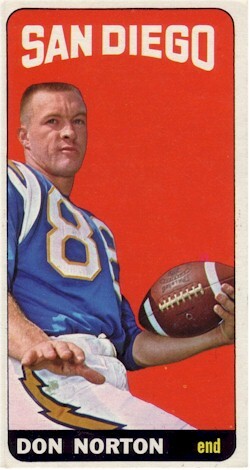 An AFL All-Star seven straight years, 1963 through 1969.
with 61 receptions for 1,205 yards, 19.8 yds/catch and 11 tds. 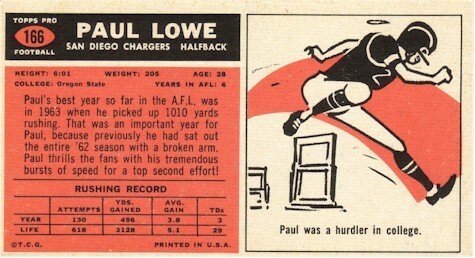 Flanker on the All-Time All-AFL team. 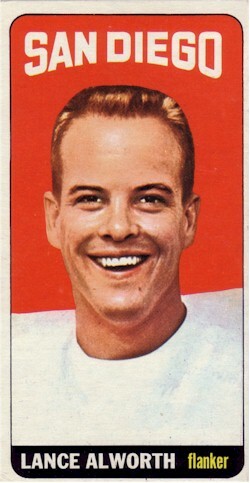 A member of the American Football League Hall of Fame. 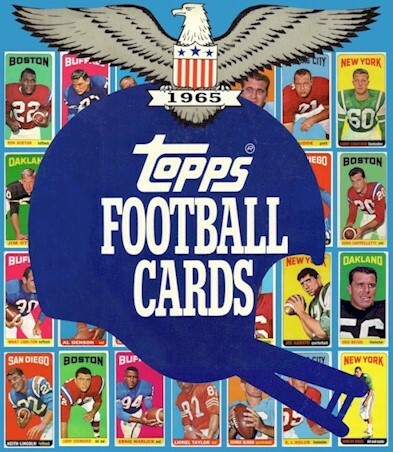 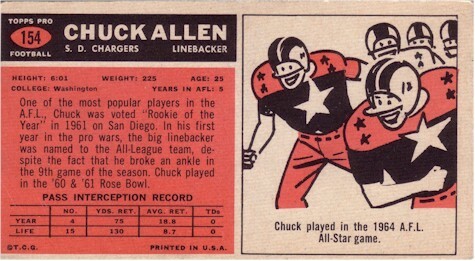 American Football League All-Star in 1964,1965 and 1967. 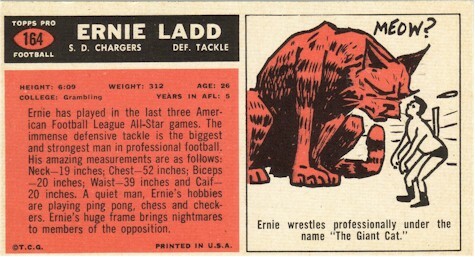 Defensive MVP of the 1965 season's AFL All-Star Game. 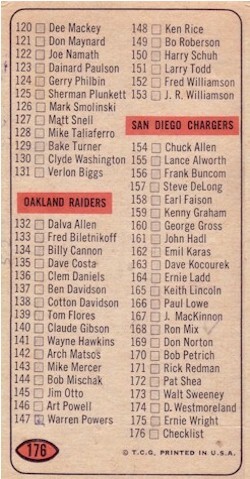 American Football League All-Star in 1969. 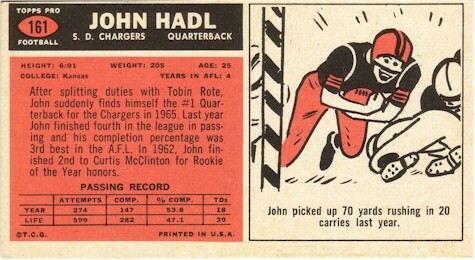 American Football League Rookie of the Year in 1961. 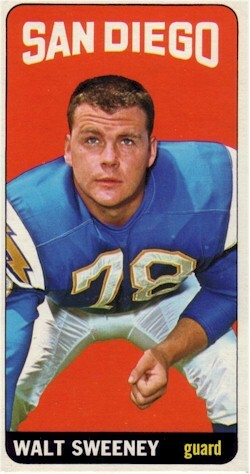 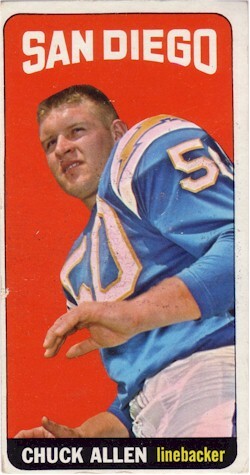 A member of the original "Fearsome Foursome"
(the Chargers' defensive line) from 1961-66. 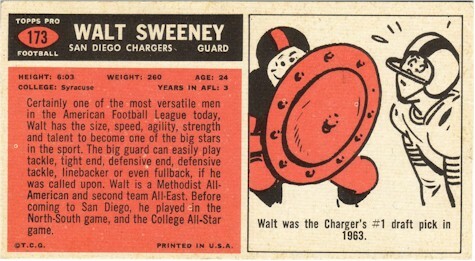 An AFL All-Star five straight years, 1961 through 1965. 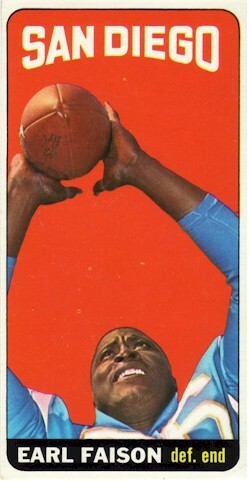 An AFL All-Star in 1965, '67, '68 and 1969. 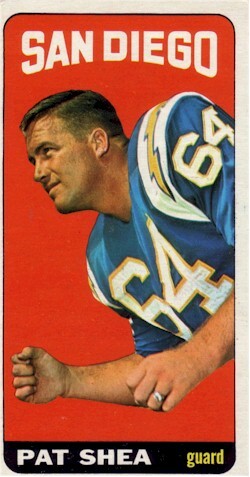 (the Chargers' defensive line) from 1963-67. 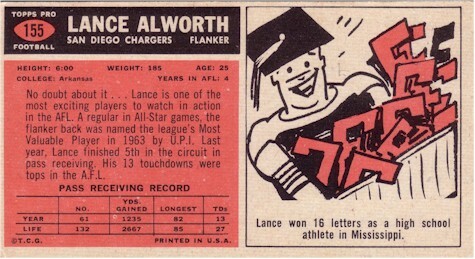 Played offensive and defensive halfback at the University of Kansas as a sophomore, then quarterback for his last two years. 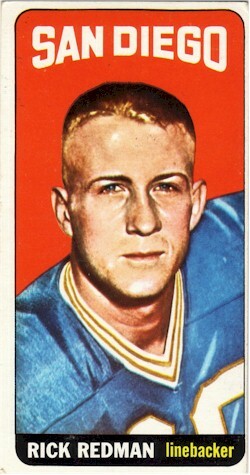 Selected as the school's Player of the Century. 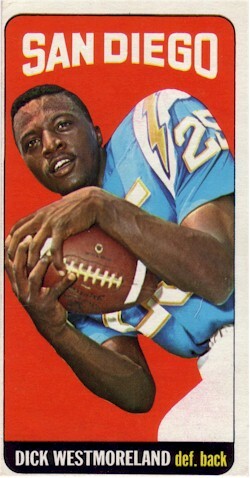 An All-American at running back in 1960 and at quarterback in 1961, and a member of the College Football Hall of Fame. 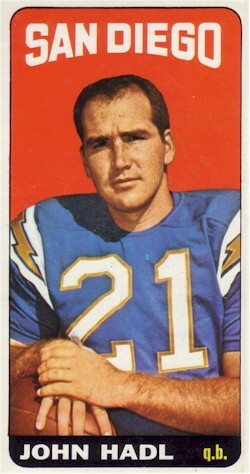 Third leading passer in AFL history, behind Kemp and Blanda. 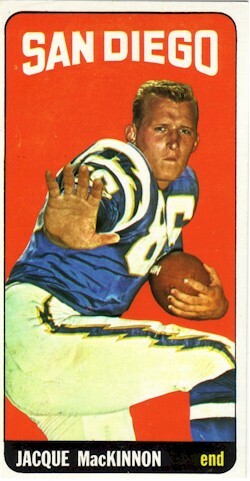 An AFL All-Star in 1964, '65, '68 and 1969. 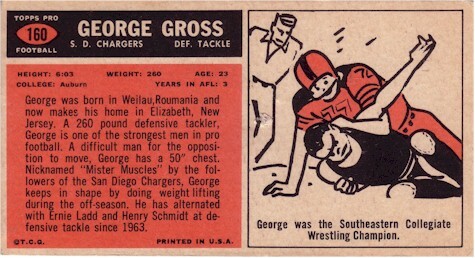 An original Los Angeles/San Diego Charger. 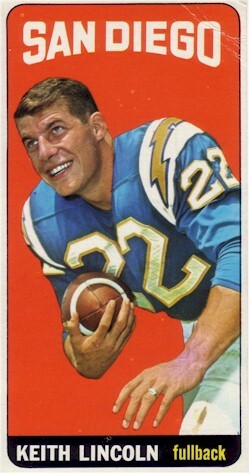 An American Football League All-Star in 1961, '62, and 1963. 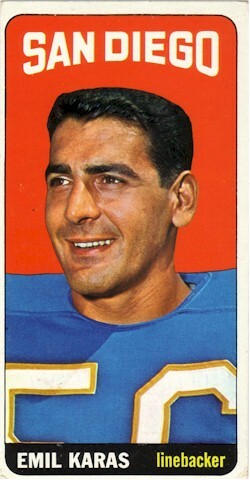 An American Football League All-Star in 1961, '62, '63 and 1964. 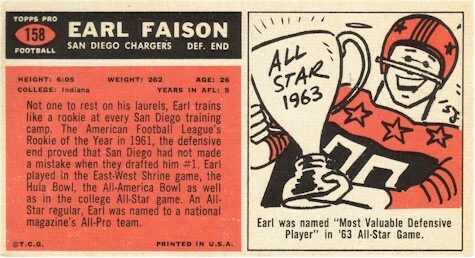 An AFL All-Star four straight years, 1962 through 1965. 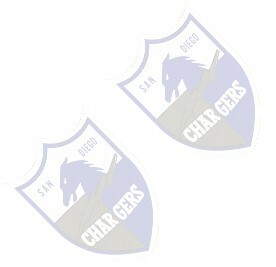 Selected to the San Diego Hall of Fame. 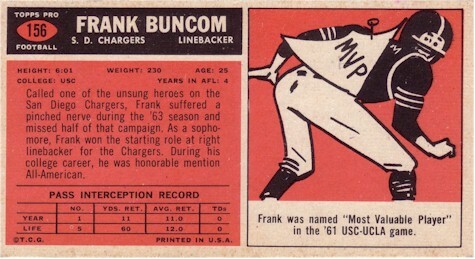 MVP of the the 1963 American Football League Championship game, accounting for 349 yards of total offense. 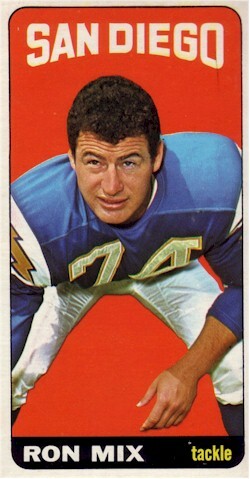 Big-play player: in 1961 caught a record-setting 91 yard TD pass; in 1962, ran a kickoff back for a Chargers' record 103 yards. 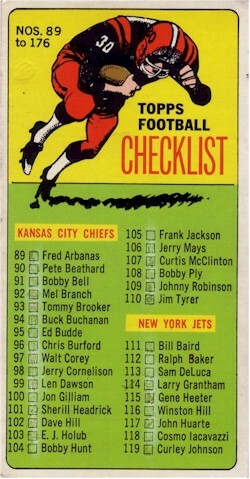 Had three games gaining 100+ yards on 14 or fewer carries. 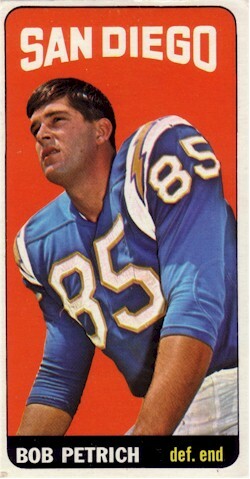 An AFL All-Star in 1962, '63, '64, '65 and 1967. 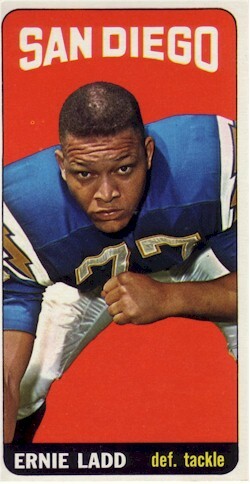 American Football League MVP in 1965 with 1,121 yards rushing. 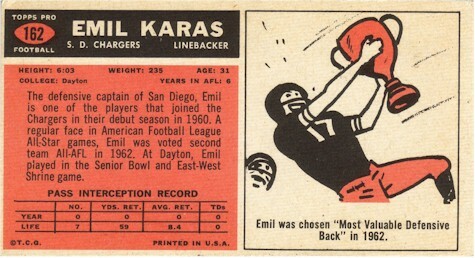 One of only twenty players who were in the American Football League for its entire ten-year existence. 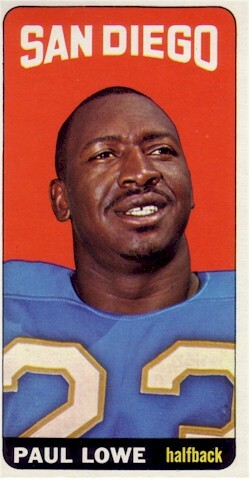 100+ yards on 14 or fewer carries. 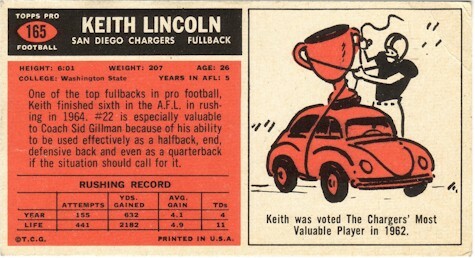 Held the American Football League's all-time highest rushing average, at 4.89 yds/carry. 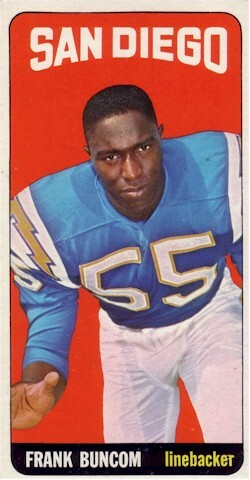 An American Football League All-Star in 1960, 1963 and 1965. 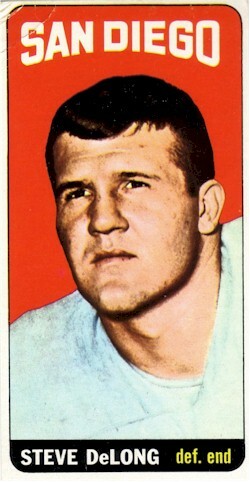 An American Football League All-Star in 1966 and 1968. 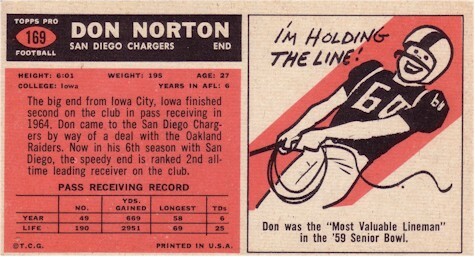 Had a total of two holding penalties in 10 years. 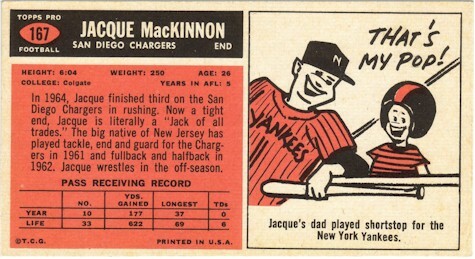 An AFL All-Star for nine straight years, 1960 through 1968. 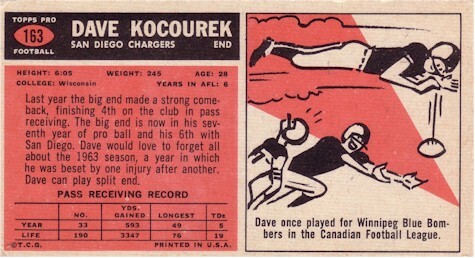 Unanimous choice to the AFL's All-Time Team. 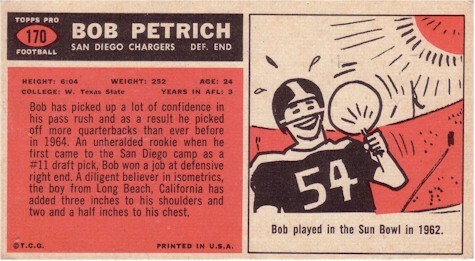 An American Football League All-Star in 1961 and 1962. 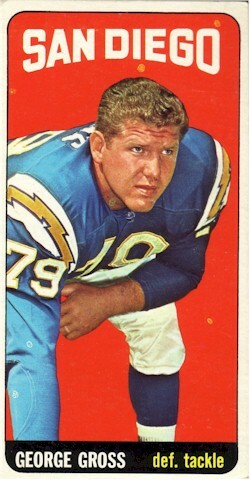 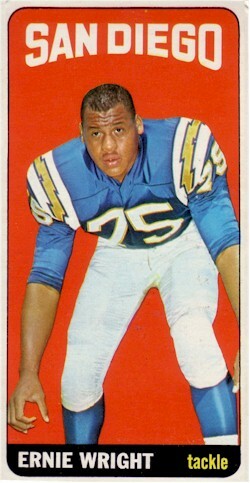 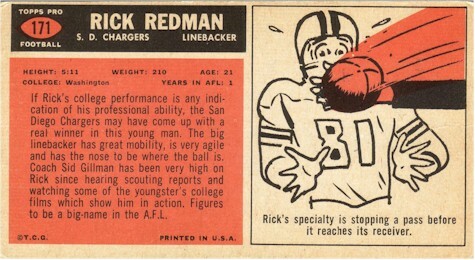 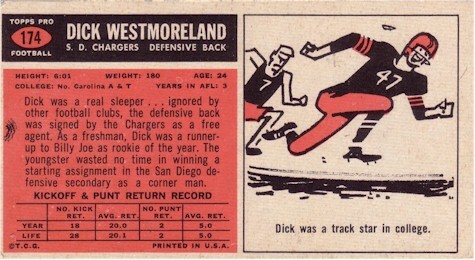 An alternate member of the original "Fearsome Foursome"
(the Chargers' defensive line) from 1963-66. 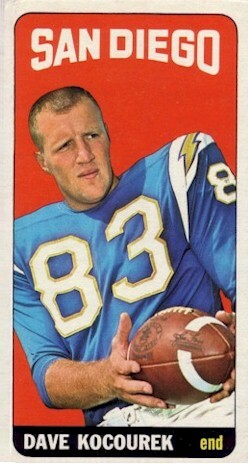 An American Football League All-Star in 1967. 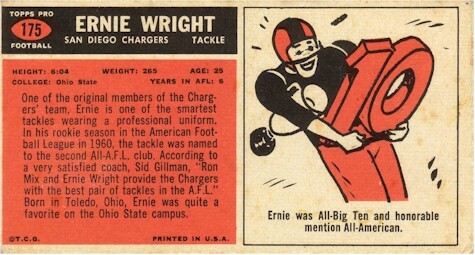 Selected to Syracuse University's all-century team. 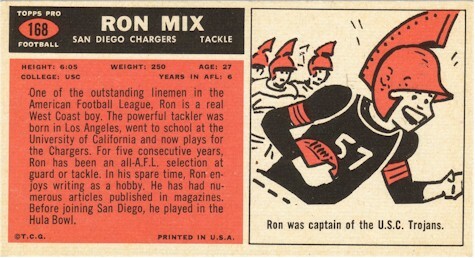 An AFL All-Star for five straight years, 1965 through 1969. 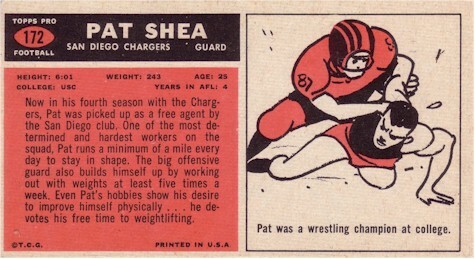 Second-team guard on the All-Time All-AFL Team. 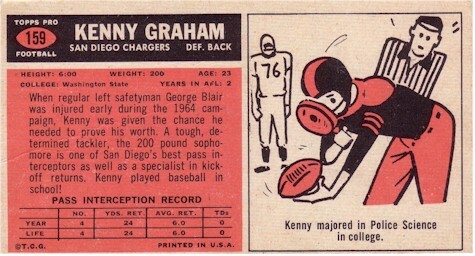 An American Football League All-Star in 1961, 1963 and 1965.